Creating and implementing effective Socratic seminars is a multistep process that includes building a classroom community, instilling communication skills, and devising meaningful, reflective assessment protocols. Throughout my nine years as a high school language arts teacher, I’ve refined a pivotal strategy called the Socratic seminar. This type of student-led discussion -- based on Socrates’ method of student inquiry rather than teacher lecture -- elicits student ownership, deep thinking, critical questioning (PDF), academic vocabulary usage, and a rooted sense of community. Although the teacher is seemingly offstage, a meaningful and effective Socratic seminar only occurs through intentional planning. The most important part of a meaningful Socratic seminar is the planning embedded throughout the year. There is no Socratic seminar without risk. And there is no risk without trust. 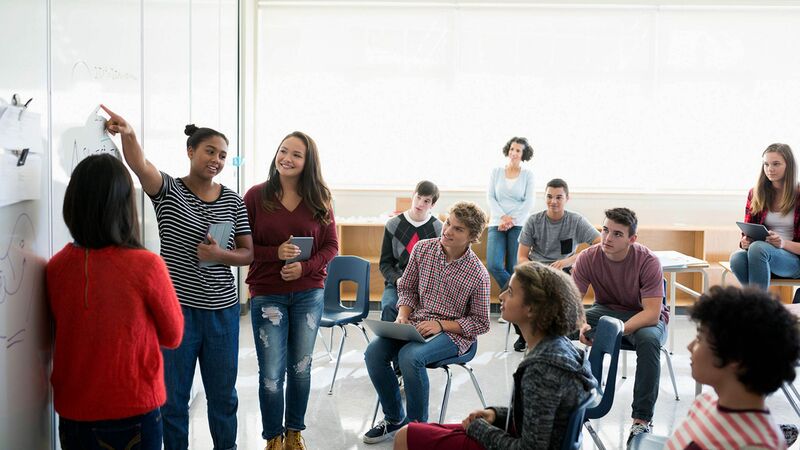 An effective Socratic seminar occurs because of the thousands of invisible connections already built among students and teacher. At the beginning of the year, establish classroom procedures, routines, and expectations. At the beginning of every discussion, do the same. Hold students accountable for demonstrating the utmost respect for each other. 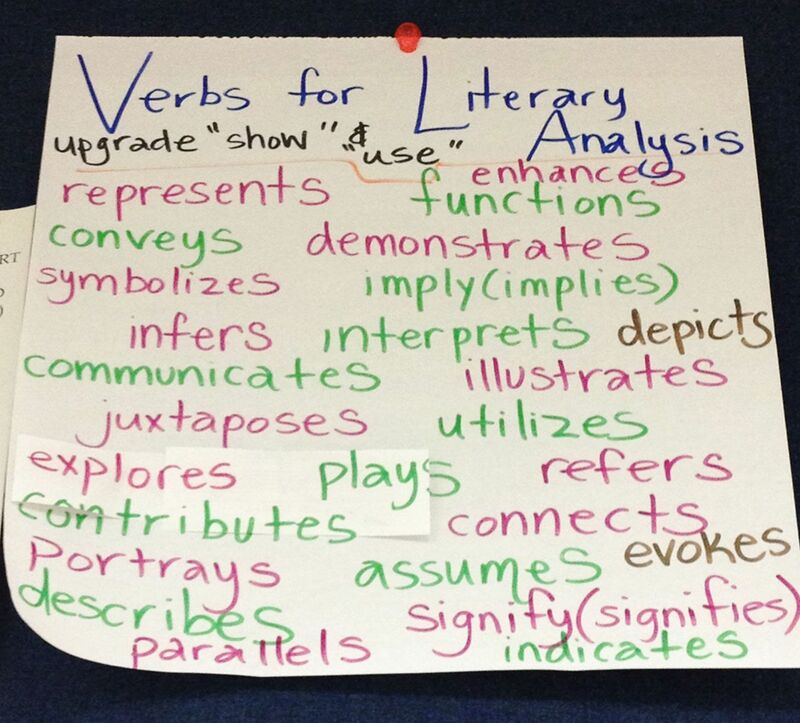 Use anchor charts to teach, model, and reinforce target vocabulary every period. Establish a way for students to recognize each other’s academic vocabulary use (snapping, tracking). This ensures that students both identify and apply the target language, while offering ample opportunity for practice (PDF). Practice gradual release of discussion leadership throughout the year. At the beginning, model strong facilitation skills and verbally label them for students. Collaboratively create anchor charts of what makes strong discussion leaders, participants, and conversations. Reflect on the day’s discussion: strengths, weaknesses, modifications. Eventually poll students to see who wants to take a more active role in leading class discussions. Directly teach, model, practice, and assess analytical and text-based questioning. The top resources for this, in my opinion, are from AVID (PDF). This skill is essential in reading comprehension, high-level discourse, and critical thinking. What I’ve found works best is delineating (PDF) between right/wrong, yes/no questions and those that produce discussion. Additionally, text-dependent questions ground students in the work. Choose a rich text that offers cross-content and real-world connections. I often use a whole novel as the basis of a Socratic seminar. Create prep work based on learning objectives and student data. Whether students are in 9th grade Intro to Lit or AP Lit, I have found that prep work allows them to feel confident going into the Socratic seminar. Repeatedly explain the purpose and expectations of the Socratic seminar. I use a contract clearly outlining expectations. Once the culture and preparations have been established, it's time to set the scene for the actual Socratic seminar. A Socratic seminar is best done in a circle, where students are equal and I (as a facilitator and not a participant) am on the outside. There are two ways to do that based on the class size and dynamics: one giant circle for all students, or fishbowl style (where the participants in an inner circle have a discussion and the participants in an outer circle coach the inner circle). When students arrive on the Socratic seminar day, I create a five- to 10-minute activity so that I can check for prep completion. I don’t allow students to participate if they’re not 100 percent complete with the prep. At the beginning of the year, this is harsh. But as the year goes on, students rise to expectations and accept that the rule is designed to ensure a better discussion (and often grade). The first Socratic seminar of the year begins with a lot of direct instruction going over what makes a good Socratic seminar, what makes a bad one, and how students can get an A (targets). 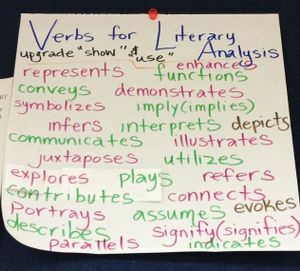 These targets -- which can shift throughout the year -- are based on standards and can include active voice, upgraded verbs, academic vocabulary, transitional phrases, textual evidence, clarifying questions, etc. Every Socratic seminar thereafter, I still spend time at the beginning directly establishing these norms and targets. I also have students set goals. I practice gradual release of Socratic seminar throughout the year. Early on, I insert myself into the conversation frequently. These interruptions can be feedback about strong performances or ways to improve, lessons about conversation strategies, highlighting impressive questions or insights, muting dominant voices, soliciting reserved voices, and/or pausing the dialogue so that students can self-assess and adjust moving forward. As the year goes on, these interruptions occur less frequently as students internalize expectations and step up as facilitators. Assess student performance at the conclusion of your Socratic seminar. Clear expectations and guidelines are the key to the assessment. Establish clear metrics for success (e.g., using and explaining quotes, expanding on a peer’s idea, asking questions that keep the conversation going) and make sure the class is aware of them. Socratic seminars can move quickly -- to ensure that your grading keeps pace, create a list of codes for successful interactions and use the codes to keep a running tally of student performance as they talk. You’ll be confident that you got it right, and you can even show the students your methodology. The final element to any meaningful Socratic seminar is reflection for both students and teacher. Provide prompts for students to use to reflect on and discuss the seminar, and then have them plan adjustments for future seminars. What I love the most about effective Socratic seminars is that they create the feeling of a college class. And my students deserve this. As do all students.